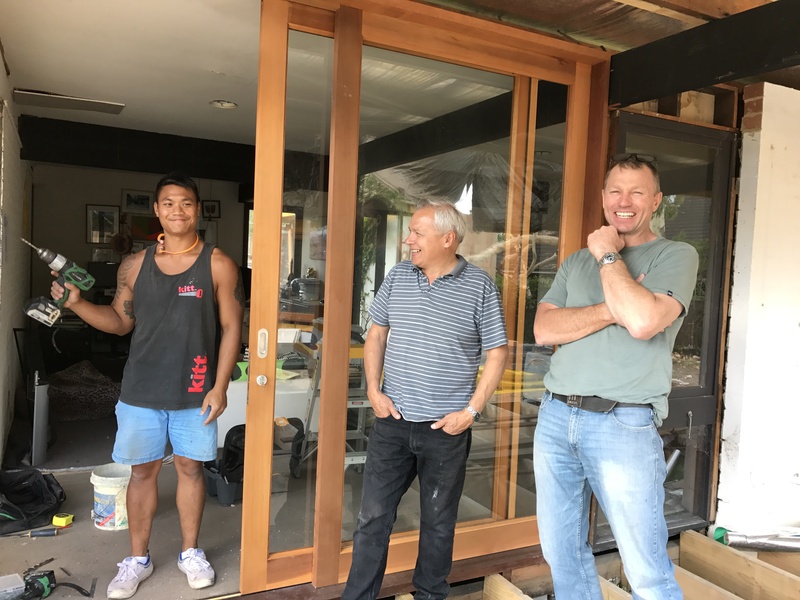 Replacement windows | Sydney House. 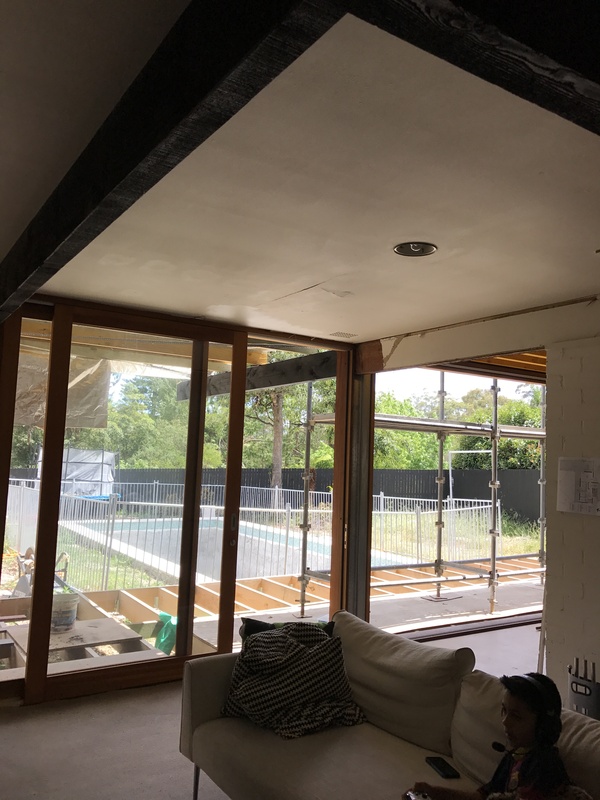 By November 2016 we had addressed the problem of all of our P&S original windows being at a height of 2100mm while the ceiling was actually 2400mm high. 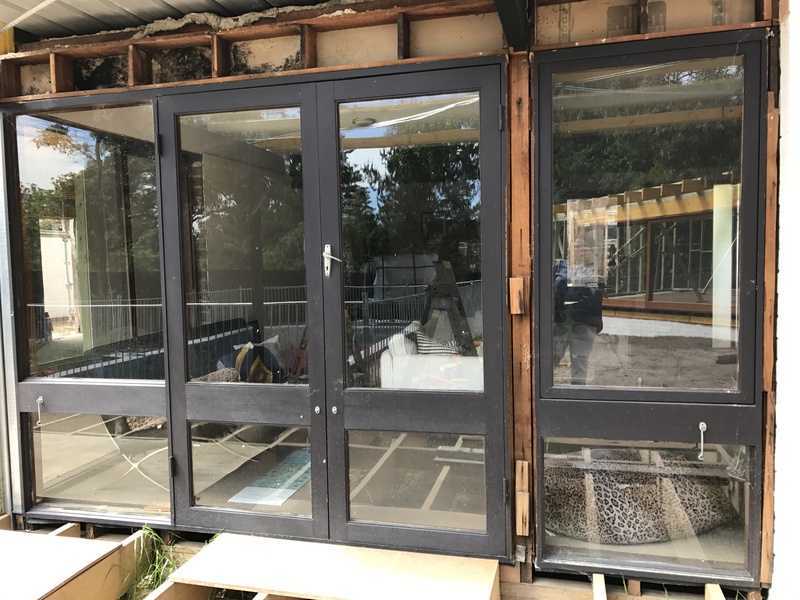 We decided to take the brick all the way up so that our replacement doors and windows could be 2400mm high (2455mm to be exact!) 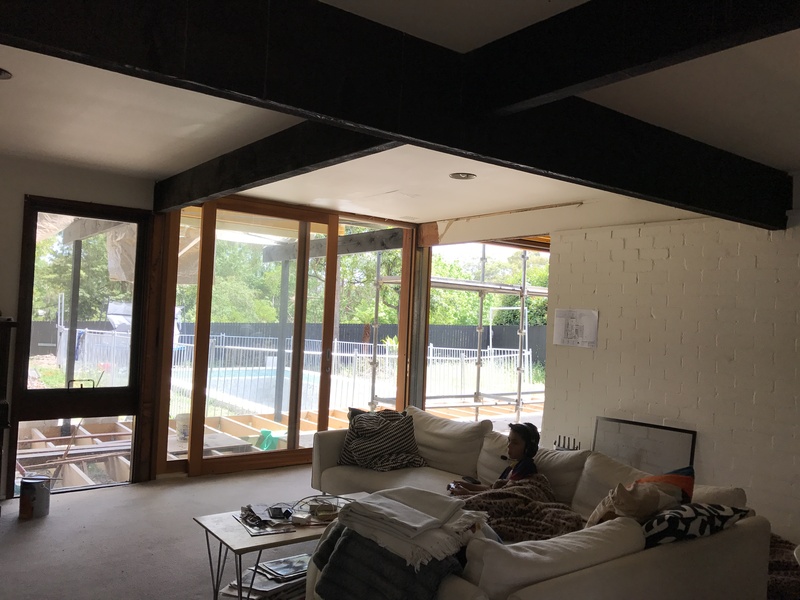 and we could get more light – yay – and so that the old windows and doors would match the height of the new. Many P&S houses had fibro to affordably take care of the 300mm difference on the outside while using standard height Stegbar windows. It was a bit sad though. The fibro was painted a daggy grey and was a bit dangerous once disturbed. Once removed with full space-suit by our builder, the innards revealed the usual suspects like ant nests. This photo below is of the original back doors, with fibro removed above the doors/windows. It’s before we’d completed the deck. The original old back doors, fibro cladding removed. 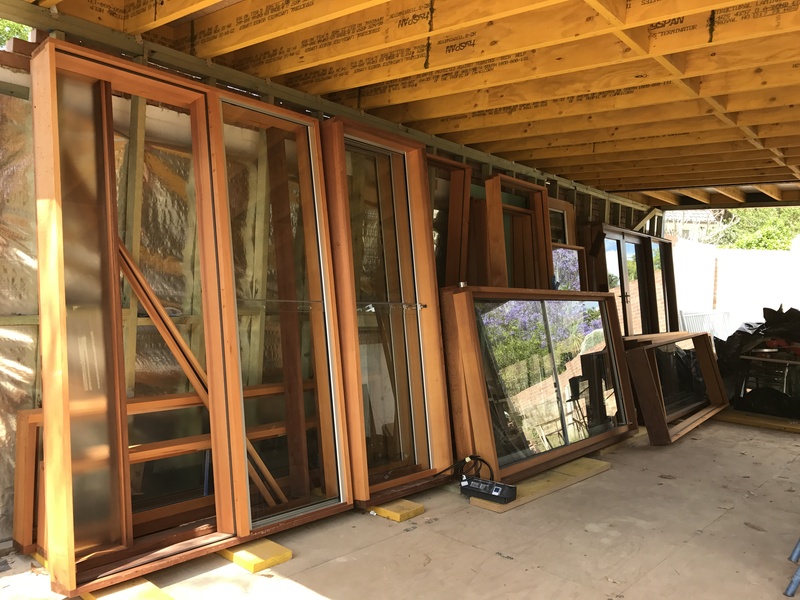 The second delivery of windows from Moars Windows arrives in October, including replacements for our original P&S windows. Exciting day! 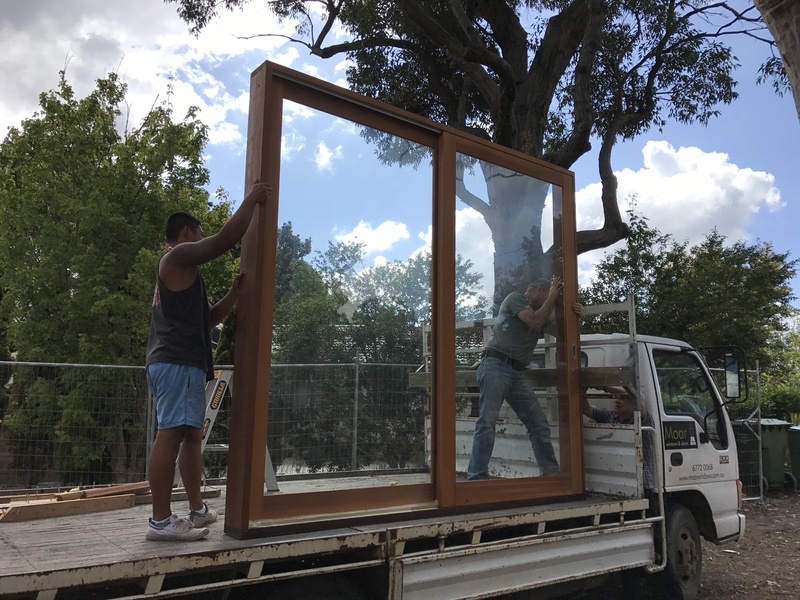 The new 2455mm high back door soon coming off the truck! 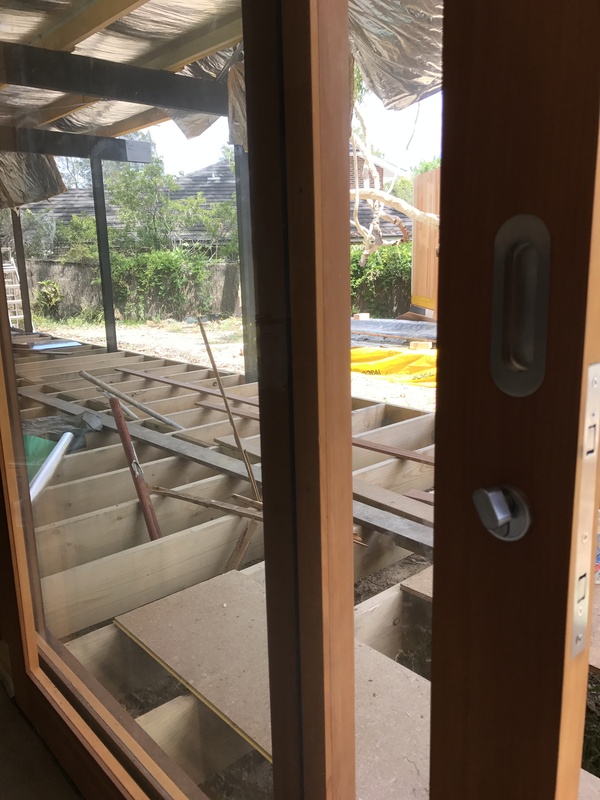 Close-up of the new cedar sliding door, looking out to the extended eaves and deck-in-progress during November. 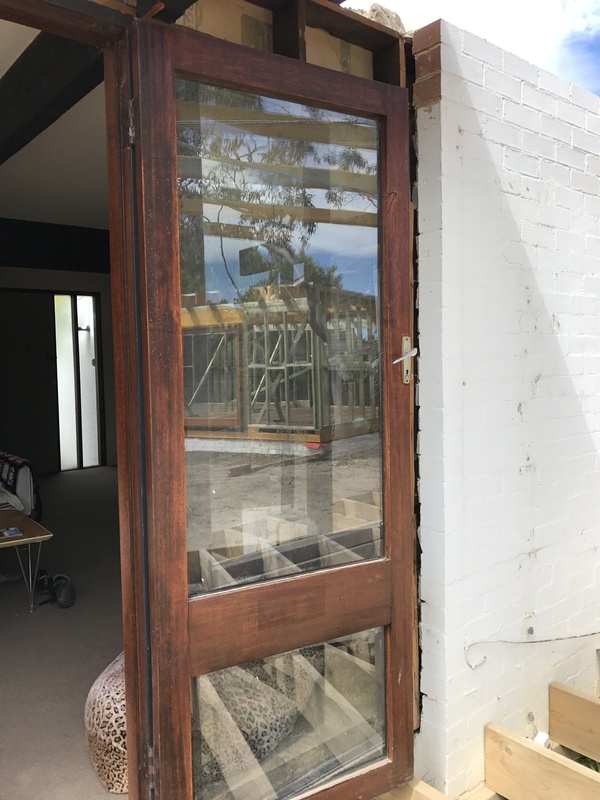 View of the new door from the inside, it’s made a big difference already! It matches with the new extension to the left of the photo. And the window on the right is next to be replaced with a sashless double-hung equivalent. 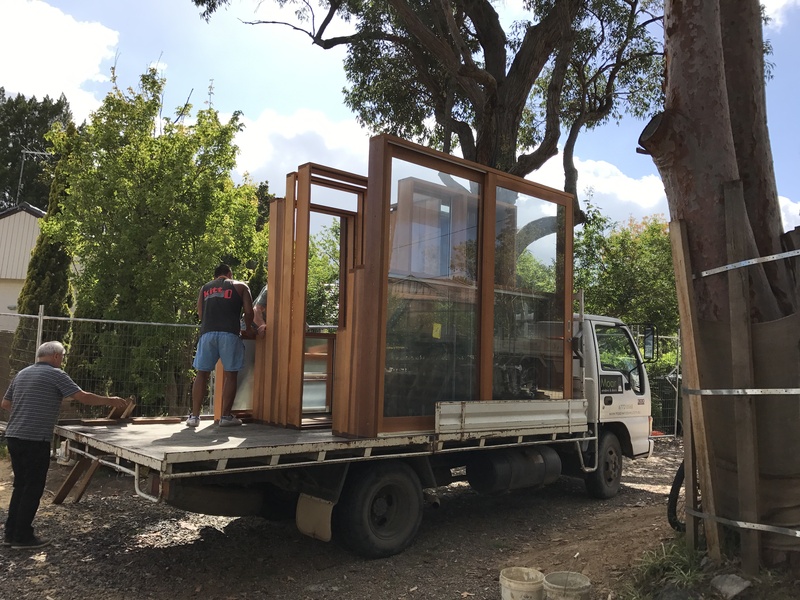 Beautiful sashless cedar windows awaiting installation in November, one of the best decisions we’ve made!